This bed revels in the smallest details, such as a rounded foot with a subtle return detail ending in a scroll. Its clean simple lines defy categorization, which is why it seems both sophisticated and country. 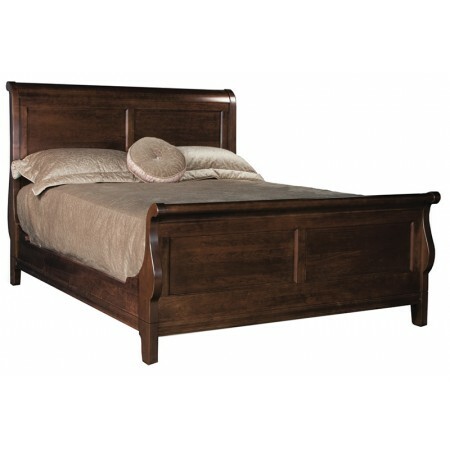 Made from solid cherry with maple blends this bed is a testament to the craftsman’s art and is equally at home in both formal and more casual décor.